Clean Fuels Ohio and the OSU Extension Service, Franklin County collaborated to host a Midwest EVOLVE ride and drive event. We worked with dealerships in the Columbus area to draw attention to the importance of workplace charging. Spaghetti Warehouse provided lunch, and also provide information on our Drive Electric Ohio program and Clean Fuels Ohio's mission. 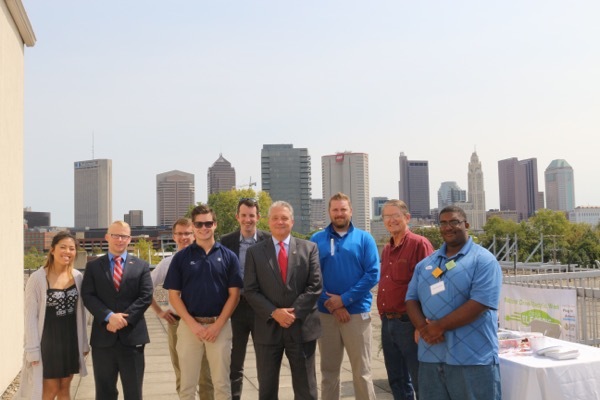 Join Clean Fuels Ohio and the OSU Extension Service, Franklin County for a public ride and drive event, showcasing the importance of workplace charging! There will be cars available to test drive, information about Drive Electric Ohio, and Clean Fuels Ohio.